For audio content (mp3) please click here. 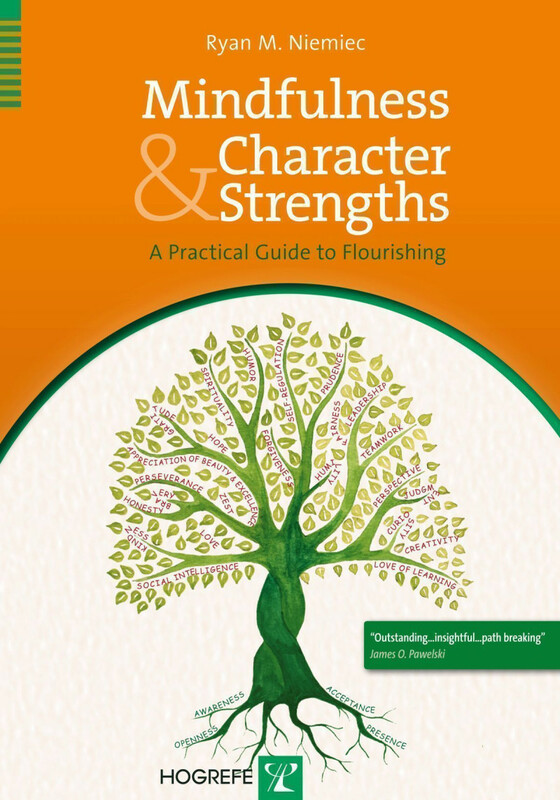 Looking for the latest research and practices on character strengths and mindfulness? Curious about how character strengths can supercharge your mindfulness practice? Or how mindfulness can help you deploy your best qualities? Look no further – the answers are in this book! At the core of this hands-on resource for psychologists and other practitioners, including educators, coaches, and consultants, is Mindfulness-Based Strengths Practice (MBSP), the first structured program to combine mindfulness with the character strengths laid out in the VIA Institute's classification developed by Drs. Martin E. P. Seligman and Christopher Peterson. This 8-session program systematically boosts awareness and application of character strengths – and so helps people flourish and lead more fulfilling lives. The author's vast experience working with both mindfulness and character strengths is revealed in his sensitive and clear presentation of the conceptual, practical, and scientific elements of this unique combined approach. It is not only those who are new to mindfulness or to character strengths who will appreciate the detailed primers on these topics in the first section of the book. And the deep discussions about the integration of mindfulness and character strengths in the second section will benefit not just intermediate and advanced practitioners. The third section then leads readers step-by-step through each of the 8 MBSP sessions, including details of session structure and content, suggested homework, 30 practical handouts, as well as inspiring quotes and stories and useful practitioner tips. An additional chapter discusses the adaption of MBSP to different settings and populations (e.g., business, education, individuals, couples). The mindfulness and character strengths meditations on the accompanying CD support growth and development. This highly accessible book, while primarily conceived for psychologists, educators, coaches, and consultants, is suitable for anyone who is interested in living a flourishing life. “In Mindfulness and Character Strengths: A Practical Guide to Flourishing, Ryan Niemiec integrates two burgeoning areas of psychology: mindfulness and character strengths. [He] suggests that a mindfulness practice supports character strength development, and identifying and enhancing character strengths facilitate mindfulness practice. The first half of the book is devoted to outlining the inherent shared features of these two concepts [and] provides a theoretical rationale for the integration of two influential lines of research. He provides concrete examples of how contemporary mindfulness-based interventions, including acceptance and commitment therapy and mindfulness-based cognitive therapy, can be enhanced by including an emphasis on character strengths. “The outcome of this synthesis is the practical and easily accessible eight-week Mindfulness-Based Strengths Practice program - complete with weekly agendas, handouts, homework, and an audio CD with mindfulness practices for each class. Exercises and other practical interventions are peppered throughout the first few chapters of the book, which lead nicely into the complete eight-week program. “This very readable book has a number of strengths. The clean and sharp organization of the chapters, including the chapter snapshot, opening stories, and take-away practice tips, makes this an easy and engaging book for the reader. "The first half of the book is educational and explanatory, presenting ideas along with the research that supports them. Thus there is no assumption that readers know the topics before they pick up the book. The second half of the book contains detailed instructions for conducting an 8-session Mindfulness-Based Strengths Practice (MBSP) workshop series. Certainly practitioners will find it an invaluable collection of materials, practical advice, and specific activities to help a group of people become more mindful in general, more mindful of their own strengths and those of the people around them, and more accomplished in the application of their strengths in everyday life. Individuals with no urge to teach will also find many ideas, activities, and meditations in this book that they can use." "This book represents a first of its kind as a bold integration of two of the most influential lines of research to affect clinical practice in the last two decades (...] densely packed with clinically useful information. The first section offers an overview of the most current research in the areas of mindfulness and character strengths. Even if you are weil steeped in the Iiterature in these areas you are bound to find these chapters to be a complete summary thoroughly discussed in a way that is engaging and thought provoking. "The second half of the book is a session-by-session protocol for the Mindfulness Based Strengths Practice (MBSP) [that] is clearly presented with tips for instruction and handouts for the group [and] includes a wealth of resources and an audio disk with various mindfulness based tracks. "This book is well written, engaging and immediately applicable to the work of nearly any mental health clinician with the desire to center their work on what is "right" with their clients." "Mindfulness and character strengths go hand in hand if you want to deploy your best qualities… This book is a rich source of material to implement mindfulness [and] of enormous benefit for psychologists and other practitioners, including educators, coaches, and consultants. [It] leads readers step-by-step through each of the 8 Mindfulness Based Strengths Practice (MBSP) sessions." "In this remarkable book, Ryan Niemiec brings alive the synergy between the rich body of mindfulness teachings and a pioneering model for understanding character strengths. By demonstrating how mindful attention can be directed in a systematic and precise way to awaken our full potential, this guidebook makes a remarkable contribution to the field of transformation and spiritual awakening." "Mindfulness and Character Strengths is a cogent, nuanced articulation of the principles and practice of mindfulness as applied in the context of positive psychology. Ryans rich experience as a meditation practitioner illuminates the work." "By bringing together two powerful practices – mindfulness and character strengths – Ryan Niemiec has created a practical, effective, and inspiring program that can benefit individuals and organizations. Reading and applying the ideas in this book can help you fulfill your potential for happiness and success."